This year I got to experience an Automattic Grand Meetup in my homeland for the first time. Granted, it took place in Whistler, British Columbia, 5000 km away from where I live, but it was still Canada! 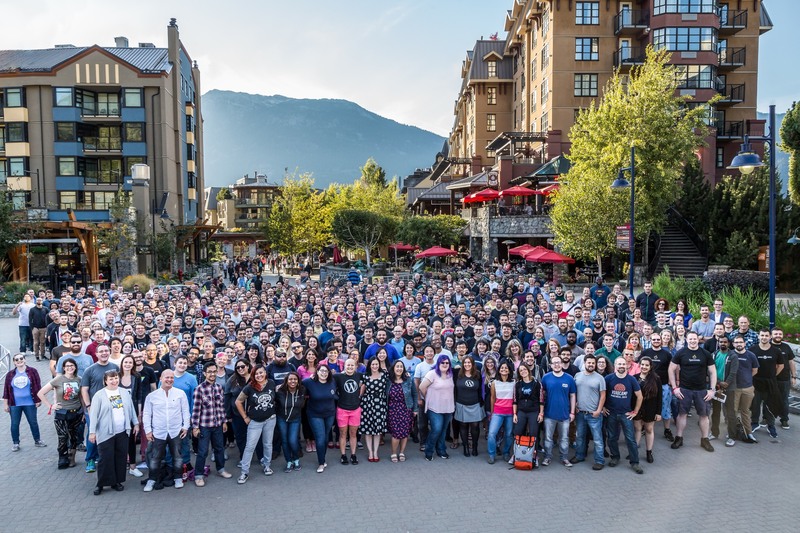 It was fun to watch nearly 500 of my colleagues encountering everything from poutine to the stunning Coast mountain range for the first time. They were even struck by small things I take for granted, like the ubiquitous Canuck politeness, in the form of “sorry” and “please” on signage. As we’re a company full of bloggers, many of my colleagues have posted accounts of their week in Whistler as well. You can check out some of them under the #a8cgm tag on WordPress.com. This year’s company photo was the most epic yet – check out my colleague Donncha’s account of how he pulled it off!